It’s easy to demote working out to last priority when you have so many other essential tasks vying for your attention. However, regular exercise is a major part of good self care and should be an essential part of your daily routine. For the sake of your physical and mental health, don’t let yourself sacrifice your workout schedule. No matter how busy you are, there are always ways to fit a solid workout into your day. All it takes is some motivation and a little bit of creativity. Many women think that if they don’t have enough time to fit a full workout into their busy day, they might as well not work out at all. In reality, this resolve is nothing more than another excuse to avoid exercise. Does a thirty-minute run on the treadmill burn more fat than an eight-minute jog that takes you three-quarters of a mile? The obvious answer is yes. But is that eight-minute jog better than nothing at all? Yes, absolutely. Ten minutes of consistent cardio still gets your heart pumping and burns calories. Fifteen crunches still engage your abs. Aim to fit at least a couple of full-length workouts into your week. When your schedule is particularly hectic, though, take advantage of any amount of time you have–even if it’s ten minutes or less–to work in a mini workout. When you wake up in the morning, do you mull over whether or not you should shower or eat breakfast before you leave the house? Probably not. We all have morning routines that include certain indispensable tasks we wouldn’t fathom skipping, even if they’re not particularly riveting. Building a regular workout into your morning routine makes exercising habitual. Soon, you’ll think of it as just one more essential task you have to make time for before you leave the house, just like applying mascara or putting together an outfit. Start by setting your alarm just ten minutes earlier every morning and completing a ten-minute mini workout as soon as you wake up. Once you adapt to this new habit, gradually make your wake-up time earlier until you have enough time for a full-length workout before 8 a.m. Believe it or not, you can fit in a mini strength workout while you shower. Effective in-place, standing exercises like squats or lunges can easily be done in the limited space a shower provides. It’s hard to avoid completing a set of in-place exercises while you’re cooped up in such a small area with little distraction. Plus, showering is a daily habit, so adding a workout to your hygiene routine ensures that you’ll get it done every single day. It is important to be very careful while working out in the shower to avoid slipping and injury. Invest in a shower mat with traction to reduce your risk of slipping. Also, only perform low-intensity exercises that keep both of your feet on the ground and don’t include any running or jumping. You are more likely to fit exercise into your daily schedule when you workout early. Even if you’re not a morning person, it’s much easier to find the motivation to work out earlier rather than later. Once you’ve showered, dressed, and struggled through a long day at work, exercising is the last thing you want to do. Plus, you’re much more likely to get bogged down by other necessary chores that distract you from your workout in the afternoon and evening than you are at six in the morning. Whenever possible, leave your car in the garage or your bus pass at home. If you have a particularly busy day, chances are you’ll be heading to work or running errands. Use those chores as an opportunity to reduce your carbon footprint and shed pounds at the same time. Walk, jog, or bike whenever your destination isn’t outrageously far away. You might be surprised at how quickly you start to look forward to walking or biking around town. Acting as your own transportation breaks up your hectic, stressful day with endorphin-releasing me time that can help you destress while you burn calories. Kids are often the culprit behind many women’s incredibly busy schedules. Instead of using your children as an excuse to skip your workouts, include them in your exercise. If you have a baby, put her in a stroller and take her on a brisk thirty-minute walk every evening. When you take your six-year-old to the park, make it a point to actually play and run around with him instead of watching from a bench. If you have older children, use their activity schedule to help you schedule your own workouts. Wear running shoes to drop your preteen off at her piano lesson and go for a twenty-minute jog until it’s time to pick her up. On evenings and weekends, suggest fun family activities–like hiking or a game of soccer at the local park–that get all of your hearts pumping. 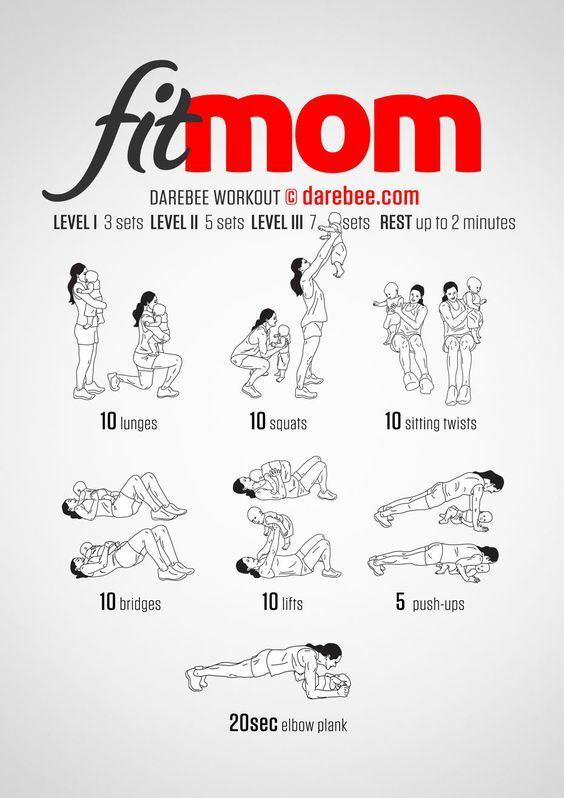 Involving your children in your workouts makes it easier for you to fit exercise into your daily schedule. Plus, it also passes healthy habits onto your kids from an early age. It might be hard to read a book while you’re jogging around your neighborhood, but it’s completely doable on a treadmill. Cardio machines are basically built for multi-tasking. Most people choose to multi-task with mindless activities like listening to music or watching TV. When you feel like you have too much to get done to exercise, don’t give up on your workout. Instead, just take your work with you. Proofread your student’s papers or prep for your upcoming office presentation while you jog or use the elliptical. Chances are, you’ll get so involved with finishing your work that you won’t even realize forty-five minutes has gone by. You can also combine your cardio and strength routines to shorten your workouts. Take your weights to the treadmill with you and complete your regular sets while walking briskly. Your fitness journey won’t progress until you drop your excuses. There’s no need to abandon your responsibilities to hit the gym or forgo your workouts altogether. Instead, use the tricks in this post to strike a balance that helps you fit exercise into your daily schedule without falling behind in the rest of your life.